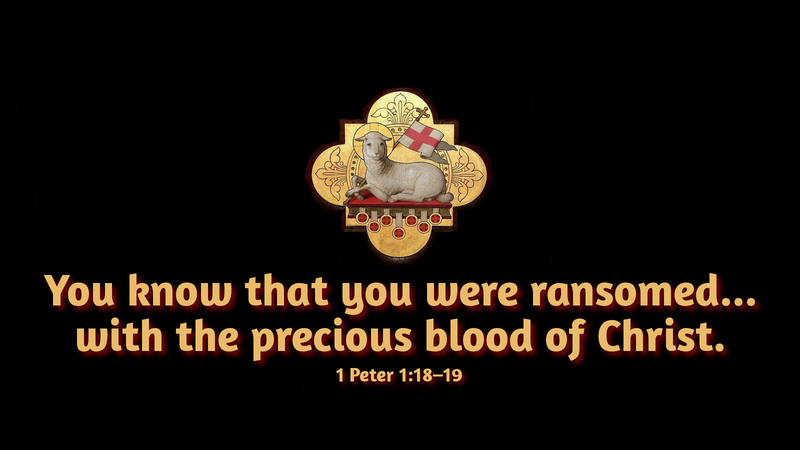 “You know that you were ransomed from the futile ways inherited from your fathers, not with perishable things such as silver or gold, but with the precious blood of Christ, like that of a lamb without blemish or spot” (1 Peter 1:18–19). Lamb of God, you take away the sins of the world. Grant us peace. Amen. With this hymn, the Agnus Dei, we honor the Lamb who was slain, sacrificed on the cross as one without blemish or spot. Our commemoration of Christ’s sacrifice is especially meaningful when we view it in light of the sacrificial system instituted by God for the Israelites in Leviticus. The Lord God provided the many sacrifices in the tabernacle and later the Temple in Jerusalem to provide atonement, forgiveness and restored holiness in order to be in God’s presence. Now, the various animal and grain sacrifices and offerings are ended, replaced by the once-for-all sacrifice of Jesus on the cross, truly the Lamb of God who takes away the sins of the world. And why? Why did Jesus become the sacrifice? To bring us peace. Peace that is not just the end of strife, the end of war, the end of terrorism and bloodshed in our world. Rather, the peace that Jesus died to bring is peace between God and His children—the restoration of the relationship that was broken by human sin and disobedience. Now, in Him, that relationship is healed, so that in Christ Jesus we may approach the presence of God without fear. Now, in Jesus, we are at peace with God the Father! Prayer: Lord Jesus Christ, Lamb of God, have mercy on us and grant us peace with God the Father, through your sacrifice on the cross. Amen.